I recently asked my friends if they had taken any interesting photos that they didn't mind me posting on my blog. 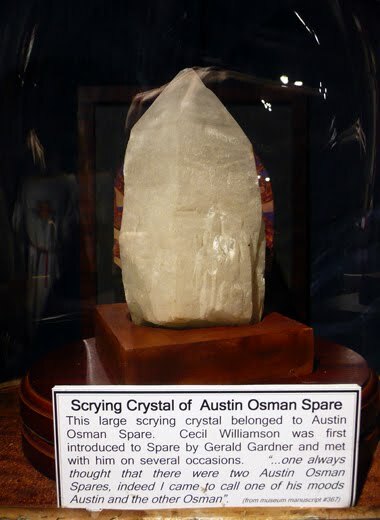 Steve Dempsey, who also sent me a lovely photo of Silbury Hill, sent me this picture of the scrying crystal that once belonged to occult artist Austin Osman Spare. The crystal is on show at the Museum of Witchcraft in Boscastle, Cornwall. I'm hoping to go on holiday to Cornwall myself at the end of August and, if I do, I'll be sure to visit the museum and see this for myself - along with all the other items on display relating to the history of witchcraft.